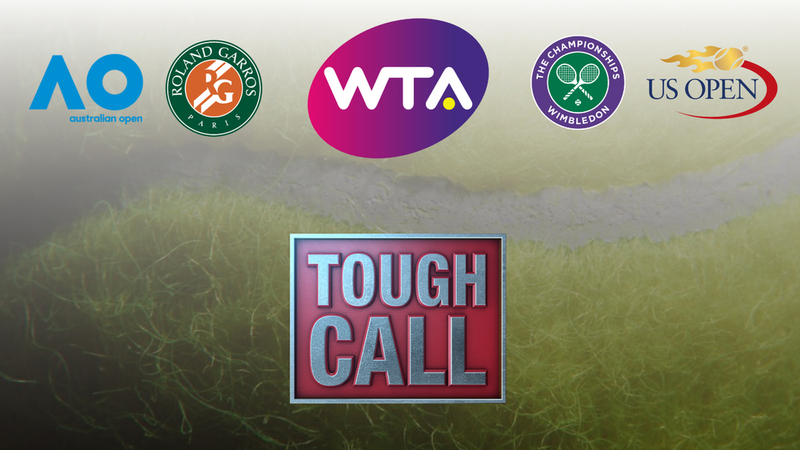 Here is this week's edition of Tough Call. Will any WTA player win more than one major in 2018? ~ One word: Serena. The 23-time Grand Slam champion is set to return at the start of the year and has won 10 of the last 19 majors she’s played - an average of two in every four. ~ Two of the tour’s other most consistent top players, Sharapova and Azarenka, started to build their comebacks in 2017, and if they’re able to get their groove back fully, they’re more than capable of winning multiple majors and even getting back to No.1 in 2018. ~ If you go back year by year, the seasons with four different Grand Slam champions have come every three years - 2017, 2014, 2011, 2008, 2005 with that, we aren’t scheduled for another year like that until 2020. That is, if the statistical pattern holds. ~ The current batch of top players seem to be vulnerable from Day 1 of the majors - in fact the current World No.1, Halep, fell first round at two of the four majors this year (and the World No.4, Svitolina, hasn’t even been to the semifinals of a major yet). ~ The last three majors were won by longshots - No.47 Ostapenko at the French Open, No.15 Muguruza at Wimbledon and No.83 Stephens at the US Open. If the trend of underdogs catching fire continues, odds are we’ll have four major winners again in 2018. ~ While the most accomplished players - Serena, Venus, Sharapova, Azarenka - could catch fire at any time, there are question marks lingering over all of them. And Venus, the only one of the group who played a full 2017 season, couldn’t come away with a major. Muguruza is capable of winning two majors in 2018, but I don't believe she will. There is only one woman who will realize that feat, and that is none other than Serena Williams. If she secures two majors in her comeback after having a child, she would then surpass the all time women's leader Margaret Court by claiming 25 career majors in singles. At 36, she understands that these next couple of years are crucial. I believe Williams will not win the Australian Open or Roland Garros, but will take both Wimbledon and the U.S. Open. Sports leagues that crave parity—I'm looking at you, NFL and NHL—should hire the WTA as a consultant. Heading into the tour's finale, seven players still had a chance to end the season at No. 1. They'll all be contending for major titles next year, along with, hopefully, Serena Williams. Garbine Muguruza, with her natural power and all-surface potential, is probably the best bet two win multiple majors, but the 24-year-old remains an inconsistent threat. Even if Serena does return, the odds of her picking up more than one major are against her. She’s proven to be superhuman plenty of times, but there has to be a loss of magic at some stage. Muguruza, Pliskova and Halep have been trading off the No. 1 ranking, and all are major contenders, but two of them have yet to even win their maiden Slam. It’ll be a hodgepodge of champions once again. I might be an optimist, but I actually see Serena Williams coming back in a big way next year. She might not be in the best of shape at the Australian Open, but it wouldn't be surprising if she was playing at an elite level come Summer. If that's the case then she can easily win two majors, especially with the inconsistencies of most of her peers. With the current WTA lineup, I doubt it as I don’t foresee any top player stepping up and dominating the season. There’s even a strong chance that we’ll see four maiden Grand Slam winners in 2018. However, if Serena Williams makes her comeback in 2018, then of course the answer is yes. She’ll be more motivated than ever and will pick up where she left off. Parity reigned in 2017, but that has never been the norm in women's tennis, where every era comes with its dominant champion. This era's champion, Serena Williams, will return in 2018; if she's not ready to win two at age 36, a younger rival—like Garbiñe Muguruza, or a breakout star like Karolina Pliskova or Simona Halep—might be.